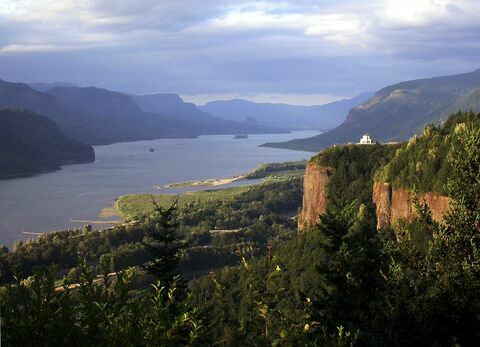 Rain or shine, Washington residents love to get outside—whether for simple sightseeing or active recreation such as boating, biking, camping, kayaking, or hiking. Our connection to nature contributes to the state’s high quality of life, attracting families and employers. Working from offices in Seattle and Wenatchee, our conservation and park specialists bring local knowledge and expertise to strategic programs including Parks for People and Our Land and Water. The only true fjord in the lower 48 states is located just 20 miles from downtown Seattle. Hood Canal, Washington is punctuated by mountains, rivers, streams, and vast evergreen forests. The Hood Canal area draws visitors from all over the world, yet access to the pristine forests and waters is limited. TPL helped protect the Arrowleaf property, surrounded on three sides by the Okanogan National Forest and one of Washington's most popular scenic landscapes and recreation spots, and is a rich biological resource. One of TPL's smallest Northwest projects, the Blaine Street Steps climb two solid blocks up to Seattle's North Capitol Hill neighborhood. In June 2012 we helped protect 285 acres that had been zoned for residential subdivision, protecting the viewshed and expanding both open space access and existing wildlife migration corridors. This 180-acre property was conserved in 1997, saving the parks panoramic views across Puget Sound and access to the beach. The Trust for Public Land has partnered with Readiness Environmental Protection Integration (REPI)-a program to buffer critical military installations-to help purchase land on the Olympic Peninsula to add to Dosewallips State Park. TPL purchased the Engle Farm property in October 2000 and protected 109 acres with conservation easements held by the National Park Service. Over the years TPL has worked hard with the Chelan Douglas Land Trust and the Icicle Fund to save the natural beauty of this free-flowing river. TPL was able to help the Swinomish tribe and the state of Washington craft a conservation solution that shared ownership and operating costs, managed the land jointly and regulated visitation. Today Kiket Island is both part of an Indian Reservation and a state park—a national first. In June 2003, TPL successfully completed the first phase of the Lake Easton conservation project, protecting 509 acres adjacent to the Lake Easton State Park in Kittitas County. With support from community members and city officials, The Trust for Public Land helped protect 100 acres of Mercer Slough for the parks department as an addition to an urban wetland park. The Trust for Public Land partnered with the Chelan-Douglas Land Trust and Icicle Fund to conserve the nearly 170-acre property near Leavenworth in 2009. Protecting the land and livelihood of the Nelson family, fifth generation ranchers in rural Washington. The Trust for Public Land is working with Okonogan County to prevent productive farms, ranches, and forests from being fragmented or developed. In 1998, TPL, in partnership with the Seattle Art Museum (SAM), stepped in to protect the last undeveloped piece of downtown Seattle waterfront for a public sculpture park. The Trust for Public Land has worked for more than a decade to protect several thousand acres along the Pacific Crest Trail in Washington State. In Wenatchee and East Wenatchee, The Trust for Public Land is working with city leaders, neighborhood groups, and residents to create the parks that residents need to build fitness, celebrate shared history, and strengthen community bonds. Offering spectacular views of Puget Sound, Seattle, and Mt. Rainier this new state park provides new public access to the shoreline as well as space for the memorial's visitor center and contemplative garden. The Trust for Public Land has worked for several years to secure critical lands at Snoqualmie Point and along Rattlesnake Ridge—important components of the Mountains to Sound Greenway. Harstine Island, as a potential new park location. When the last piece of private property bordering the Seattle Arboretum's Japanese Garden was put on the market for residential development, TPL was asked for help protect it. The Trust for Public Land is working to bring free outdoor exercise gyms to parks across the city. TPL managed the purchase of over 17,500 acres of land, creating a link between two existing wildlife areas and keeping the land safe for wildlife to roam and people to enjoy hiking, birding, fishing and hunting. In July of 2018 The Trust for Public Land protected more than 7,000 acres in the South Puget Sound. The land, which is located on the Olympic Peninsula south of Hood Canal and east of Case Inlet, will remain in active timber production while protecting water quality and wildlife habitat. It provides exceptional hiking, mountain biking, and outdoor recreation. TPL bought this land at the headwaters of Phelps Creek in 1996, holding it for some years while federal funds were marshaled to add the property to the Glacier Peak Wilderness. 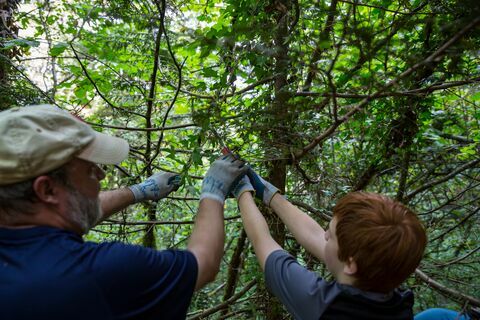 We are working in partnership with King County Parks, to protect the land in "the Issaquah Alps" that will become a future regional county-owned park. In Spring 2007, Chelan County established the Stemilt Partnership — a broad coalition of agriculture, wildlife, recreation, development, and conservation interests working together to prevent privatization of 2,500 acres of public land in the Stemilt basin. Just south of Seattle, Mason County is blessed with miles of pristine Puget Sound shoreline, but with hardly any public access. for nature in a theological context. TPL helped save 39-acres of undeveloped land that in 2008, became Taylor Bay Conservation Area on Key Peninsula in Pierce County. The historic Tollgate Farm in North Bend offers a direct link to King County's past. From 1884-1887 the farm was a toll stop when the first road from Seattle to Snoqualmie Pass was a toll road. Visible from throughout the San Juan Islands, Turtleback Mountain served as a landmark for the Salish people of the Northern Straits as they traveled across their villages and fishing grounds. The Trust for Public Land, in partnership with the Chelan-Douglas Land Trust, is leading a community-wide effort to double the protected lands in the Wenatchee Foothills of Washington. The Chimacum Valley in Jefferson County is experiencing a resurgence of agricultural production and is quickly becoming a hub of community-based food production in Washington State. At the same time, rapid development in this fertile valley is making it difficult for young farmers to buy land. The Trust for Public Land worked to protect Young Island, which is rich with pocket beaches, diving areas, stunning wildflowers, and spots for wildlife and bird-watching as part of the San Juan Marine State Park Area.